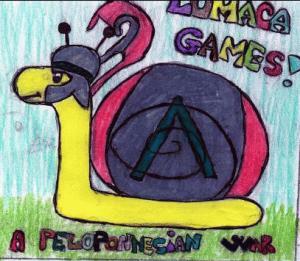 It is part of the DICELESS series, play without dice, by LUMACA Games!!! Sparta and Athens in ancient Greece. Each player represent one of these two important cities and will try to orientate as much areas as possible to its side. The focus is on influence rather than on real wargaming and it is useful for pupils studying the ancient Greece at primary school. Rate the game on BoardGameGeek !!! The game has been published on Parabellum magazine IV as EGEMONIA !! Here is the expansion for A Peloponnesian War; now you can play with Thebes as well!!! Follow the traces of Epaminondas and make Thebes the ruler of Greece... but beware of Sparta and Athens!